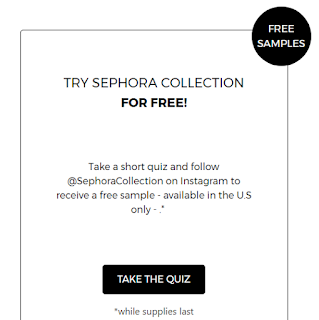 Savvy Spending: Free sample Sephora Collection Make up Remover or Lip Stain! You can sign up to receive a Free Sephora Collection Make Up Remover or Lip Stain Sample! Just take the quiz and you'll receive your sample in about 2 weeks.